National Association for Down Syndrome | Invite NADS to your school! NADS welcomes to opportunity to visit schools throughout Chicagoland to educate students and teachers about Down Syndrome. These presentations are complimentary. Please reach out to Linda Smarto at lsmarto@nads.org to schedule a presentation. 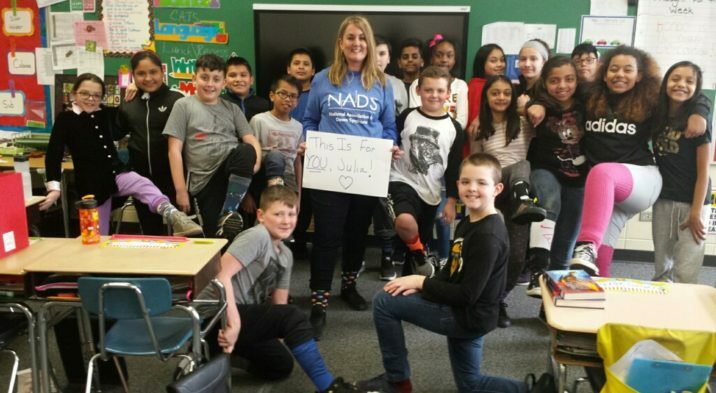 Photo above is of a 5th grade class in Carol Stream supporting World Down Syndrome Day by sporting their crazy socks!